Greenspace Garden Design is a creative and comprehensive garden design consultancy, designing beautiful gardens and providing expert garden advice for garden owners throughout the South West. 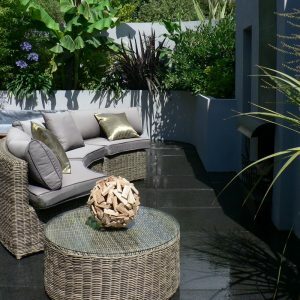 Established in 2006 Greenspace Garden Design is run by designer Kathryn Gilmour who works and liaises with a number of other specialist individuals, suppliers, skilled contractors and craftspeople. 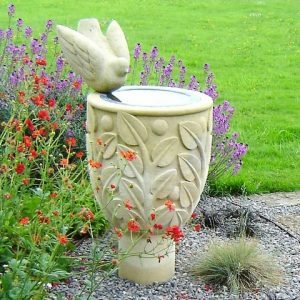 Kathryn is an eco-aware award winning designer with over 35 years experience working in the field of art, design and more recentlygardens. Starting out in illustration with a BA (Hons) in Fine Art, she designed exhibitions and graphics, winning some professional awards over the years. A long-term love of gardens led her to combine skills with training to work professionally as a garden designer. This direction took off when she won a regional garden design competition with the BBC in 2004. 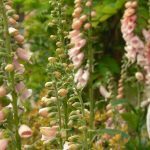 She went on to train with KLC School of Design in London, was awarded a distinction and completed RHS general horticultural training. In the past, having worked with several national companies with ‘household names’ good communication has always been key in Kathryn’s way of working with people, whatever the scale of project. ‘Spirit of place’ describes the notion that each outdoor space has its own unique feel and essence. Working on designs with this in mind, materials are selected to be in harmony with surroundings; plant combinations are chosen that will thrive in a particular situation and its prevailing conditions. The result is a garden that matures beautifully and is in keeping with the location. 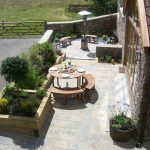 A good garden design needs to strengthen the link between the house and its surroundings. A successful design helps to make a house and garden ‘look right’ together and to work well practically speaking. But equally it really needs to fit with the owners’ ideals, aspirations, wishes and dreams. For some it might be a place primarily for entertaining and socializing. 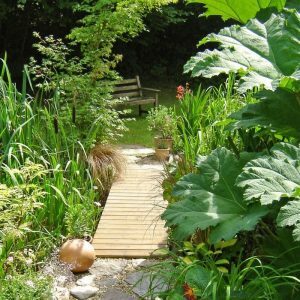 For others a garden becomes a sanctuary or retreat for time spent closer to the earth, to regain a connection to the seasons and to appreciate quietness and harmony. Other garden owners with families will have different priorities, needing a safe place for their children to play and perhaps a bed or two for those first home-grown tomatoes and sunflowers, as well as place to sit and enjoy that all important glass of wine after a busy week, when the kids have gone to bed!